Dilbert’s Health Care Directive | The Levin Law Firm - Philip Levin, Esq. As part of the estate planning process, I always discuss with clients the importance of completing a Health Care Power of Attorney and Advance Medical Directive. These legal documents are designed for the purpose of designating primary and back-up health care agents to step-in if and when you need medical attention, but are not able to communicate effectively with medical care providers. “Health Care Power of Attorney” – designates the person selected to make health care decisions if you are unable. “Advance Medical Directive” or “Living Will” – documents what types of medical treatment you would or would not want at the end of life. While estate planning discussions often center around Wills and Trusts, Health Care Directives are the “Living Documents” which comprise a comprehensive estate plan. In fact, choosing a Health Care Agent is one of the most vital decisions you can make to protect yourself in the event of a temporary or permanent illness, injury, or incapacity. However, planning in advance of an illness, injury, or incapacity is the key. Advance planning can completely avoid the need to have a Guardian appointed by a local court for the purpose of making necessary health care and medical decisions if you suffer an illness, injury, or incapacity. Unfortunately, our judicial system often forces court appointed Guardianships on people because they never completed their Health Care Directives on their own. At The Levin Law Firm, we believe that it is crucial for our clients to plan ahead so that they, and their loved ones, do not have to engage in a court appointed Guardianship proceeding. The alternatives to a Guardianship — “Health Care Powers of Attorney” and “Advance Medical Directives” — are a much wiser and cost efficient solution, compared to a Guardianship, which should be a last resort. When properly designed, Health Care Directives avoid the time delays and expenses associated with a Guardianship proceeding. In essence, these legal documents allow a seamless and smooth transition in the decision making process, if medical decisions need to be made. When it comes to health care, your decisions do matter. But you need to properly document your estate planning desires and health care wishes today so that your family can honor them in the future. Please take the time to discuss the importance of having an up-to-date estate plan, which certainly includes Health Care Directives appointing a Health Care Agent to act on your behalf, if you are not in a position to speak for yourself. 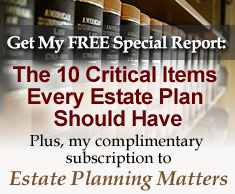 Wills, Trusts, Health Care Directives, and other important estate planning legal documents should only be prepared by a licensed estate planning attorney. To arrange an “Estate Planning Check-up”, contact The Levin Law Firm to schedule a Complimentary Consultation at 610-977-2443.